He made it pretty clear he dropped a bombshell. 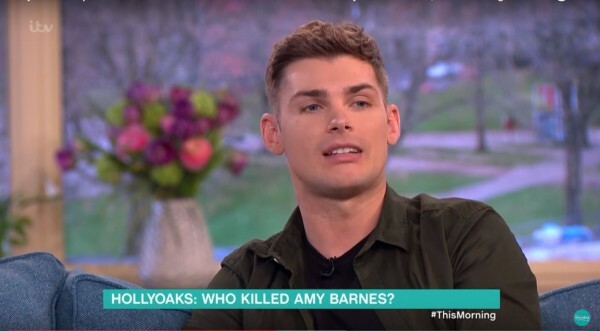 Hollyoaks star Kieron Richardson became flustered and joked that he might have “lost his job” as he hinted that his character is the killer in the soap’s storyline about the murder of Amy Barnes. 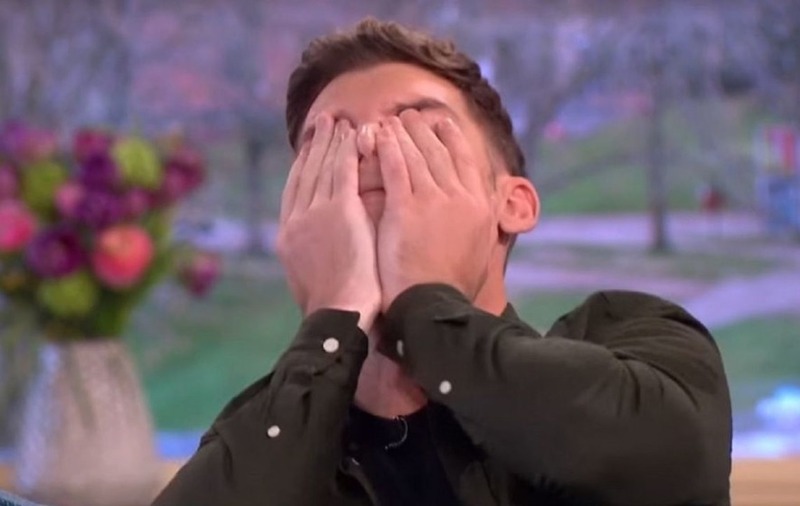 The actor seemed to spill the beans after being questioned by This Morning hosts Phillip Schofield and Holly Willoughby about his character Ste Hay’s involvement and the possibility another person is involved in the whodunit. Kieron’s stint on the ITV show came after it was revealed on Hollyoaks that Amy (Ashley Slanina-Davies) had been found dead hours after marrying Ryan Knight (Duncan James). Speaking about the possible murder suspects, of which he said there were “six or seven”, he explained how it may not be Ste – despite him being a lead suspect – because he blacked out and woke up covered in blood during the episode, but that he has no recollection of why. Kieron suddenly broke off from his sentence to cover his face. “Oh no. 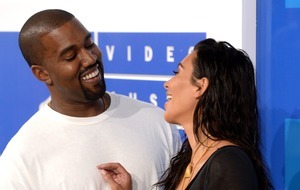 Is this live, live?” he asked. Laughing, Holly and Phillip tried to divert the attention from Kieron’s apparent blunder and quizzed him further over the other suspects. Holly told Kieron “you’re making it worse!” and threw a cushion at him before he ran out of the studio. The relationship of Ste and Amy has been one of the soap’s major plotlines for many years. Ste is one of the prime suspects for Amy’s murder, as she and Ryan were set to move to America with Ste’s children, Leah and Lucas.